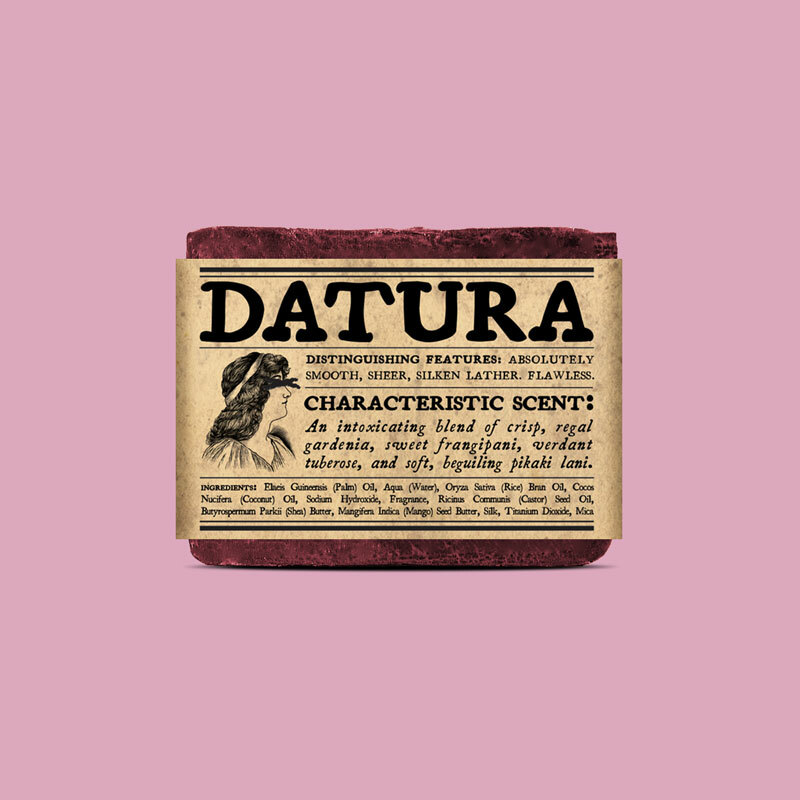 Villainess Soaps bath and beauty packaging design by Noisy Ghost Co. 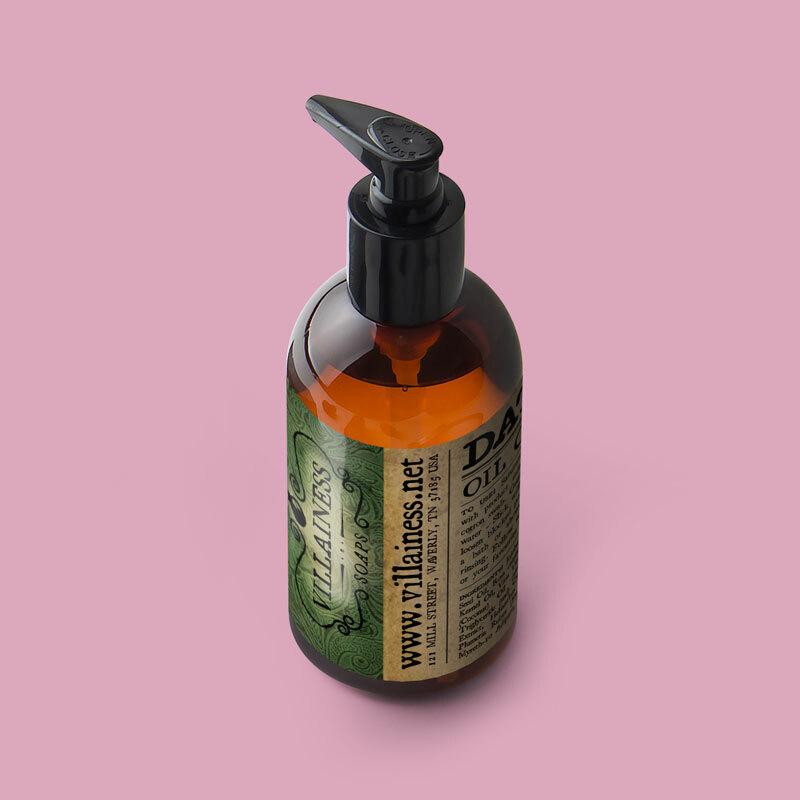 The Villainess Soaps line of products is expansive. 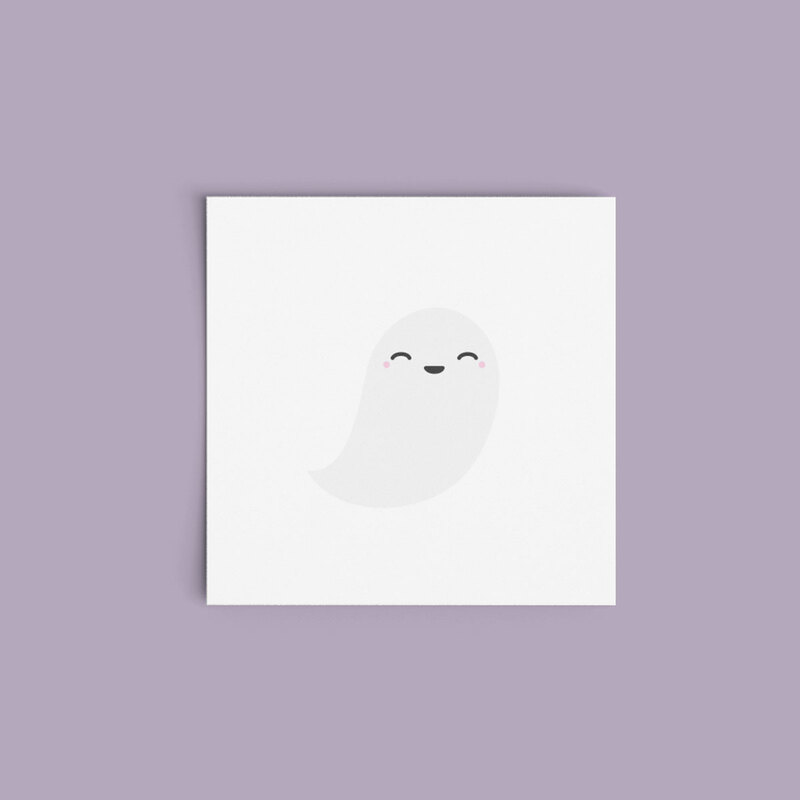 After working together for ten years, Brooke Stant and I have amassed a collection of designs that demonstrate an expansive catalog of products, limited editions, wholesale products, and special commissions for third-party resellers. No two product labels are exactly alike. 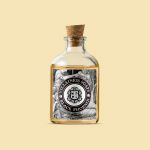 Inspired by a vintage collection of Victorian shopping catalogs, the aesthetic makes use of grainy typeset typography, luscious leather patterns, and period-specific illustrations scanned directly from vintage catalogs. 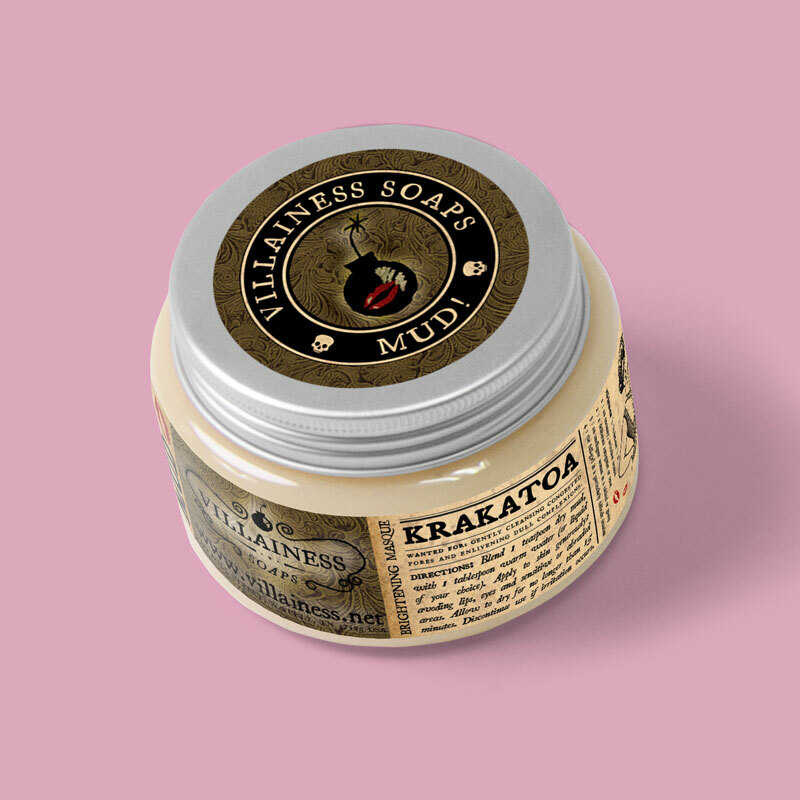 The Villainess Soaps product line is enormous with variations on scents and product types, limited editions, wholesale editions, and various special products created for third-party resellers. The entire catalog numbers well over three hundred products. 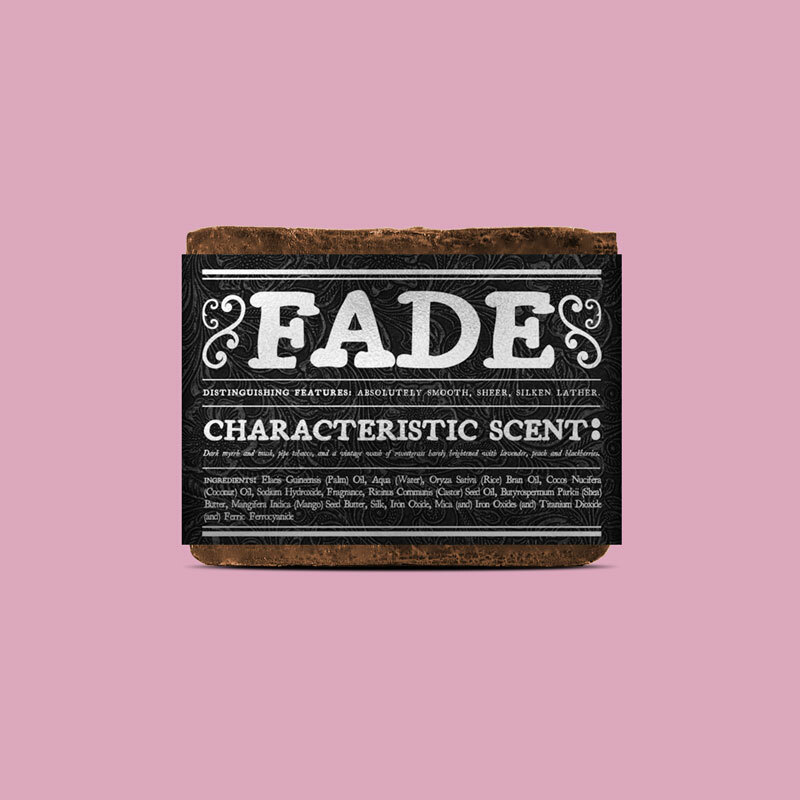 Each label is unique, as the typography and iconography are deliberately sized irregularly across all items. 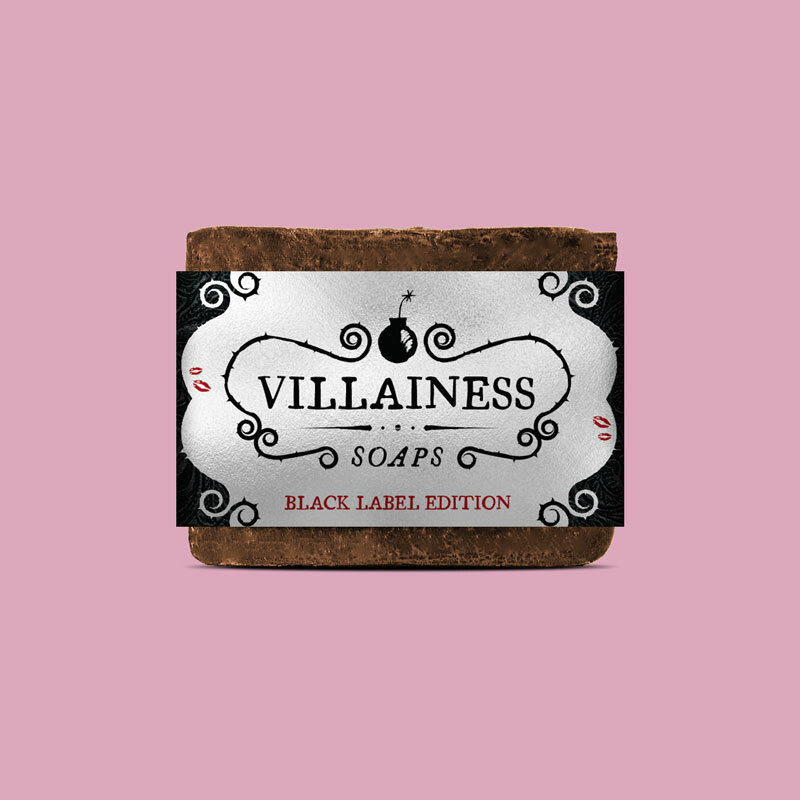 As part of the redesign effort, we began by designing the Villainess Soaps logo. 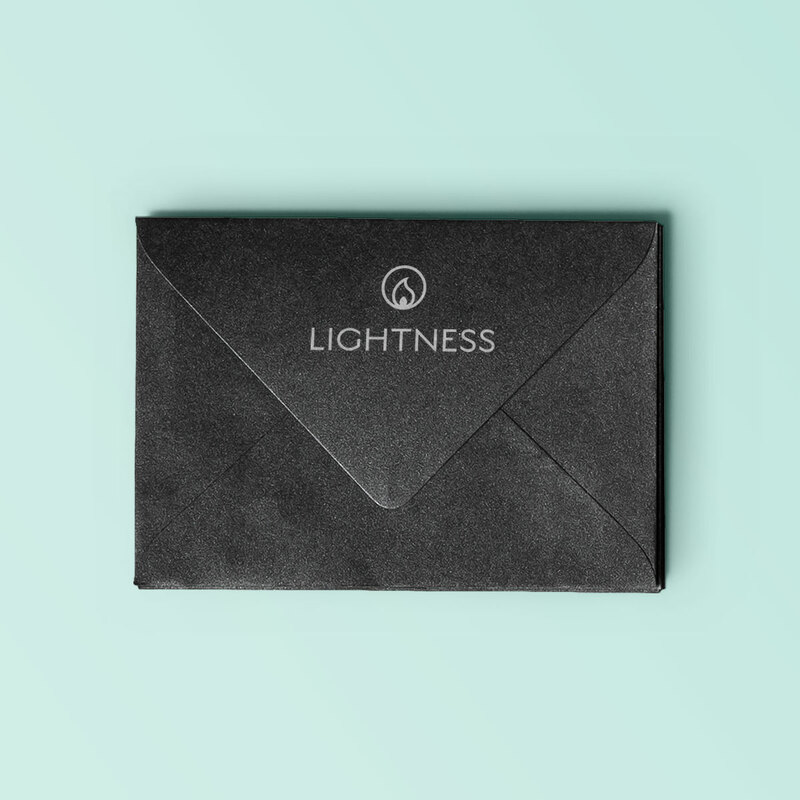 Expanding on the brand, I designed letterhead, envelope seals, business cards, notepads, coffee mugs, tradeshow banners, shot glasses, perfume boxes, and hang tags, among other items. 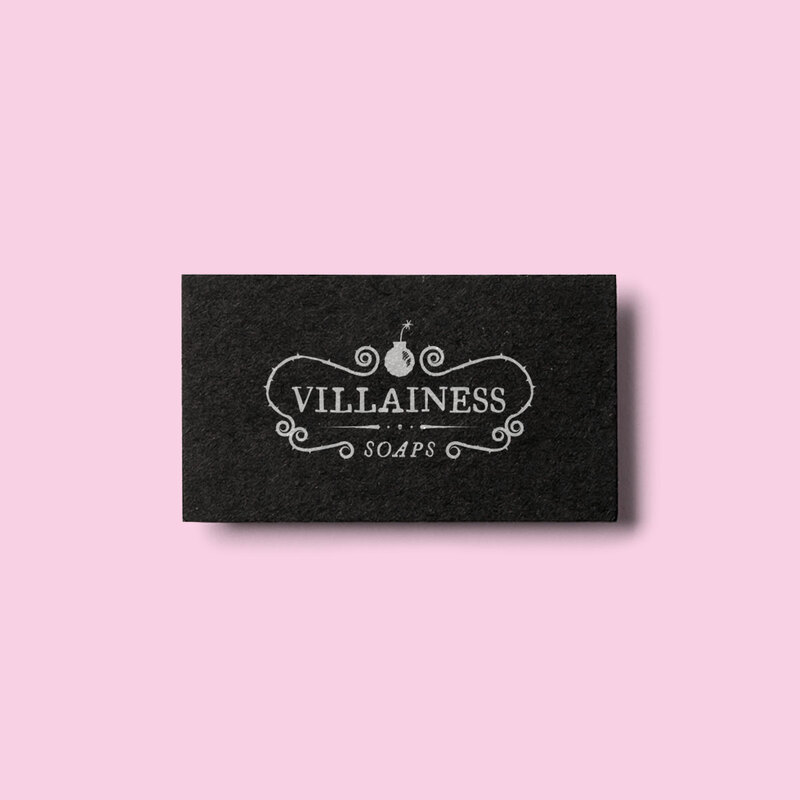 Villainess Soaps received a complete identity package: a total overhaul of their existing materials to ensure consistency and quality. 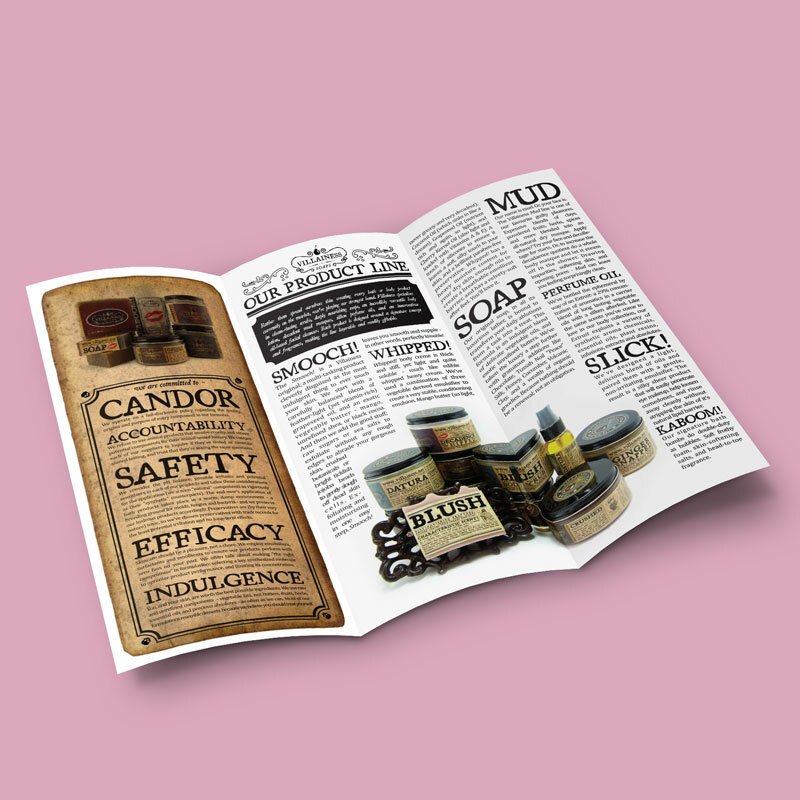 In addition to general catalogue items, including body scrubs, moisturizers, perfumes, candles, soap, and perfume, we also co-branded a “Black Label” limited edition series, a limited run of product label designs for the “Supervillainess” anniversary editions, and a joint venture with Black Phoenix Alchemy Lab for several of their soaps and a body scrub as well. 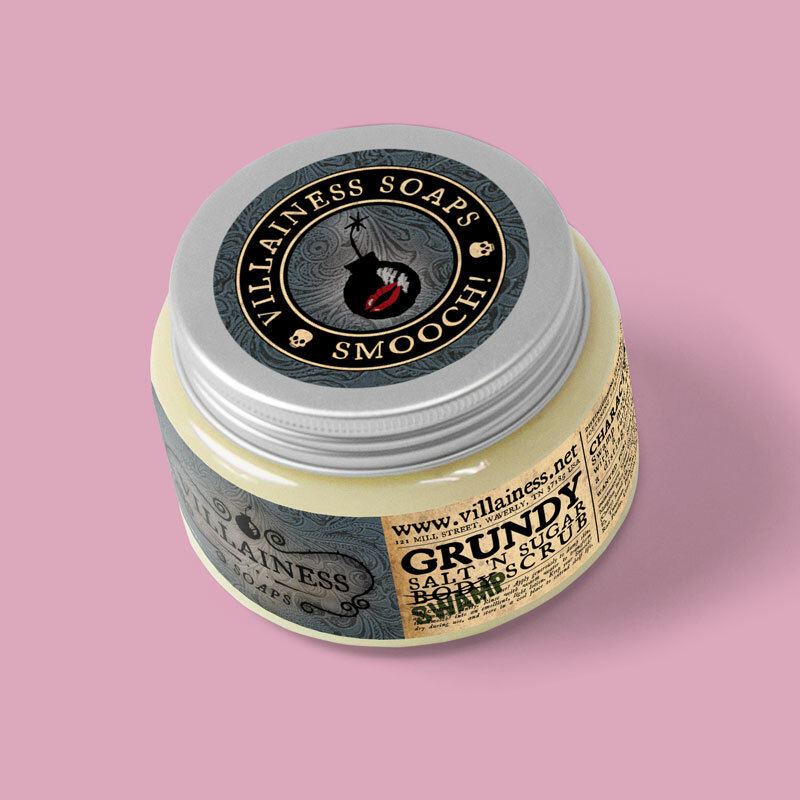 Villainess Soaps body scrub packaging design by Noisy Ghost Co.
Villainess Soaps body scrub packaging design by Noisy Ghost Co. Bath and body beauty product packaging and label design with a vintage look. 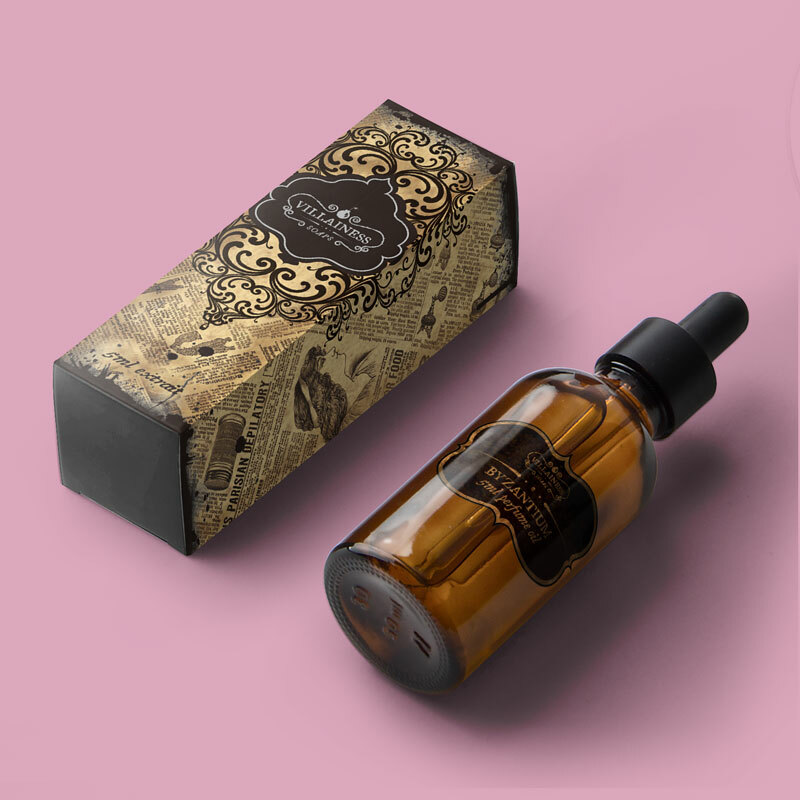 Villainess Soaps perfume packaging and box design by Noisy Ghost Co.
Villainess Soaps perfume packaging and box design by Noisy Ghost Co. Bath and body beauty product packaging and label design with a vintage look. 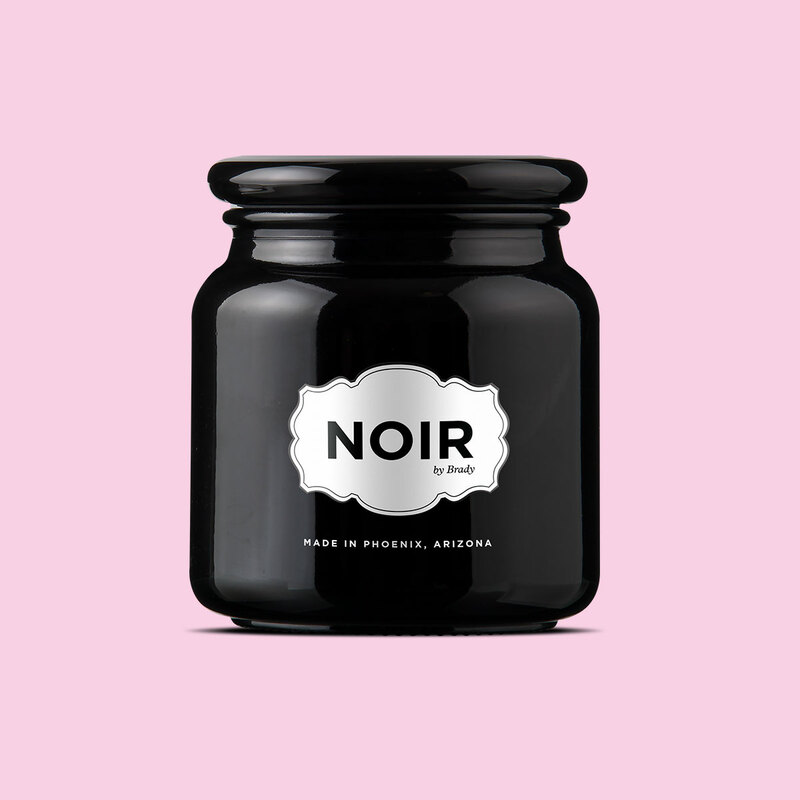 Villainess Soaps candle packaging design by Noisy Ghost Co. Bath and body beauty product packaging and label design with a vintage look. 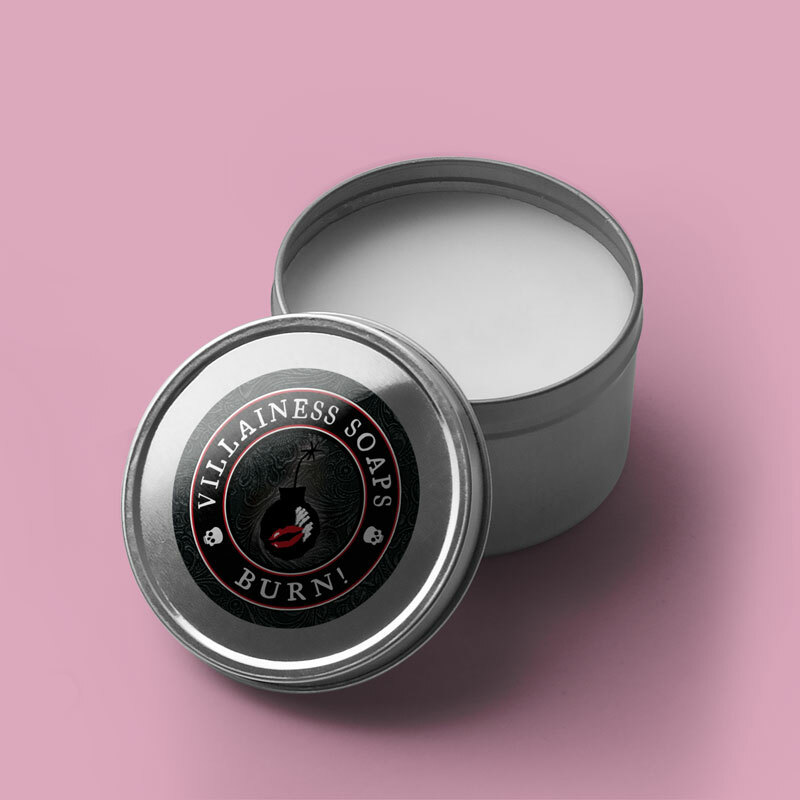 Villainess Soaps candle packaging design by Noisy Ghost Co. Bath and body beauty product packaging and label design with a vintage look. 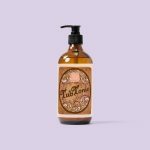 Bath and body beauty product packaging and label design with a vintage look. Villainess Soaps soap packaging design by Noisy Ghost Co.
Villainess Soaps soap packaging design by Noisy Ghost Co. Bath and body beauty product packaging and label design with a vintage feel. Villainess Soaps Smooch, Whipped, and Mud Product Packaging by Noisy Ghost Co. Bath and body beauty product packaging and label design with a vintage feel. Villainess Soaps moisturizer packaging design by Noisy Ghost Co.
Villainess Soaps Smooch, Whipped, and Mud Product Packaging by Noisy Ghost Co. Bath and body beauty product packaging and label design with a vintage look. 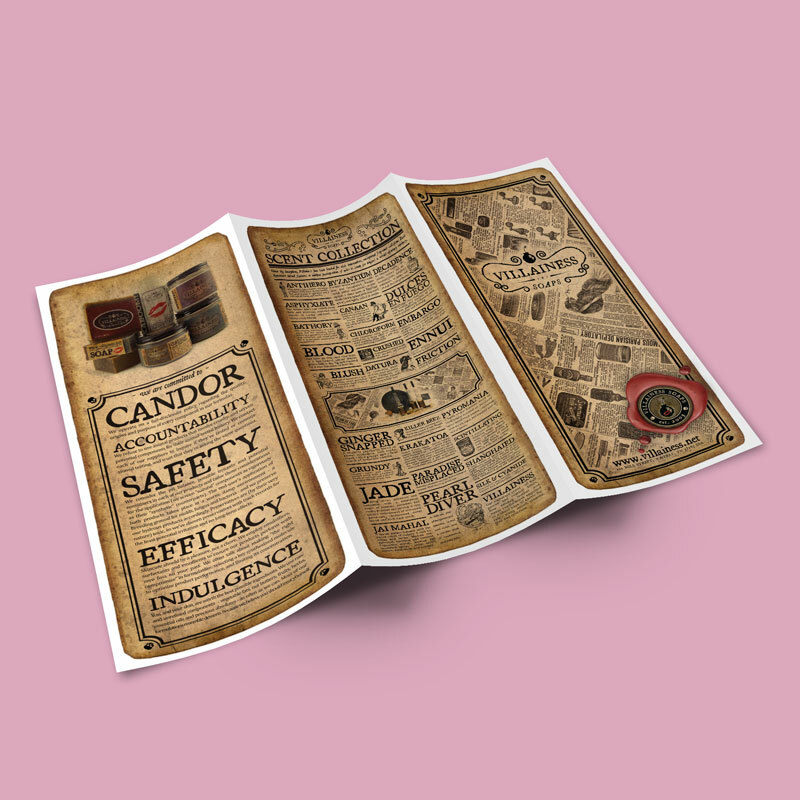 Villainess Soaps tri-fold brochure design by Noisy Ghost Co.
Villainess Soaps tri-fold brochure design by Noisy Ghost Co. Graphic design with a vintage feel. Villainess Soaps beauty product packaging design by Noisy Ghost Co.
Villainess Soaps beauty product packaging design by Noisy Ghost Co. Bath and body beauty product packaging and label design with a vintage look. 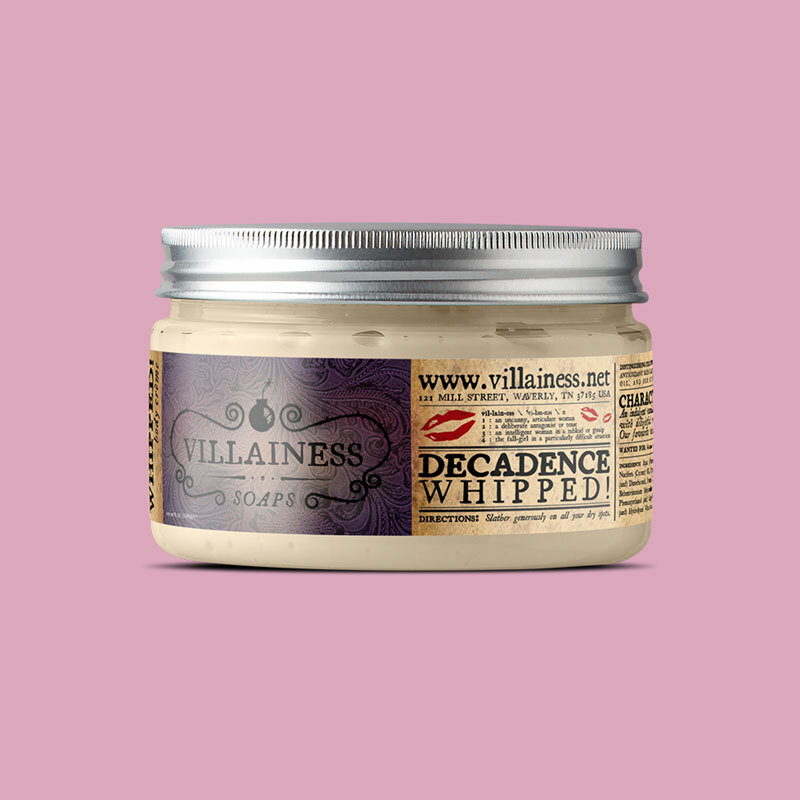 A collaboration between Villainess Soaps and Black Phoenix Trading Post resulted in soap packaging design, a co-branded logo, and label design for a limited edition sugar scrub.